The Oaks subdivision is a new home community located in Northwest Meridian, Idaho. Located in a country-like setting, homeowners enjoy the quiet surroundings and the luxury of easy access to Meridian urban amenities. At The Oaks in Meridian, you're close to shopping, dining, family fun, many parks and recreation areas, and just minutes from freeway access. The playground is up, the swimming pool is underway, they are hard at work on a 20’ high entrance with a spectacular water feature. New Meridian home prices starting at $240,154. Learn more about The Oaks real estate just below. 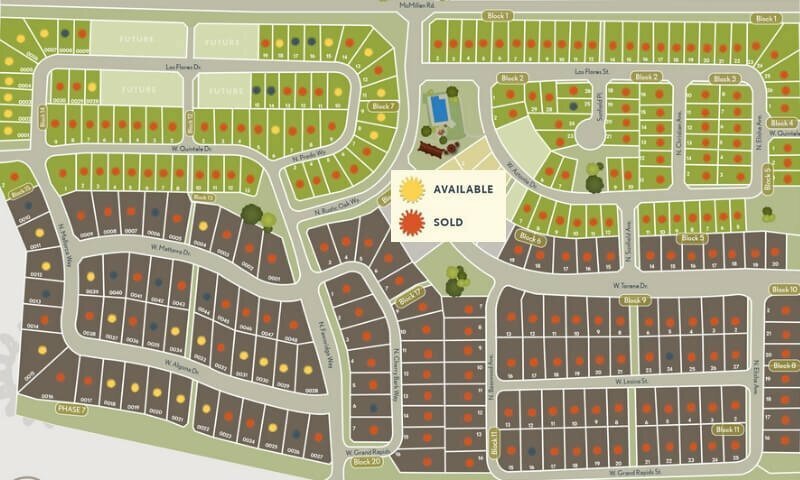 Browse all new homes in Meridian Idaho or discover the perfect community with our complete guide to new Meridian subdivisions. Homesites: From 0.126 acres (5,490 sq ft) to 0.307 acres (14,113 sq ft). Near the corner of McMillian Rd and Black Cat Rd. Head W on Mcmillian, S on Rustic Oak Way to The Oaks Subdivision. Homes in The Oaks are selling fast. For reservations or a private tour, contact us online or call (208) 391-4466 today.